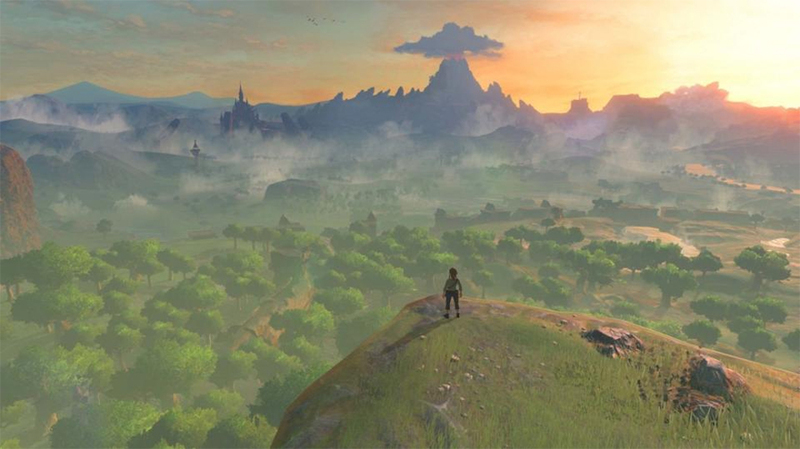 I was anticipating a classic adventure when I sat down with The Legend of Zelda: Breath of the Wild, readying myself to learn all the new mechanics the game would throw at me. I mentally prepared myself to fight through puzzle after puzzle in labyrinths of increasing complexity and confusion. I steeled my resolve, vowing not to seek help online and solve everything on my own. Everyone knows this is what to expect when the name Zelda appears in a game’s title. 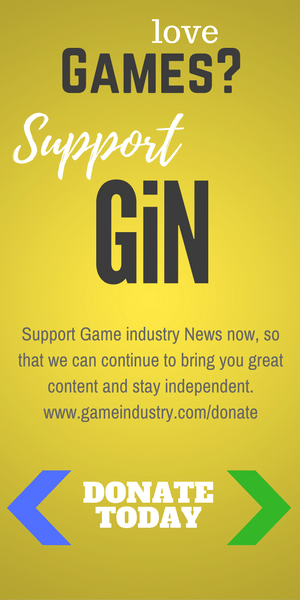 It’s part of the rules we intrinsically understand as gamers. It’s also part of the rulebook Nintendo just shredded. From the moment I picked up The Legend of Zelda: Breath of the Wild, I had no idea what I was doing, and it was the most wonderful gaming experience I’ve had in ages. Completely open to exploration, the vast land of Hyrule spread out before me, begging to be revealed. 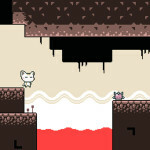 The opening area gives players a chance to orient themselves to the game’s controls while also providing the key abilities for navigation and puzzle solving. Yet there’s never a point, even from the beginning, when the game forces you to follow a set path. 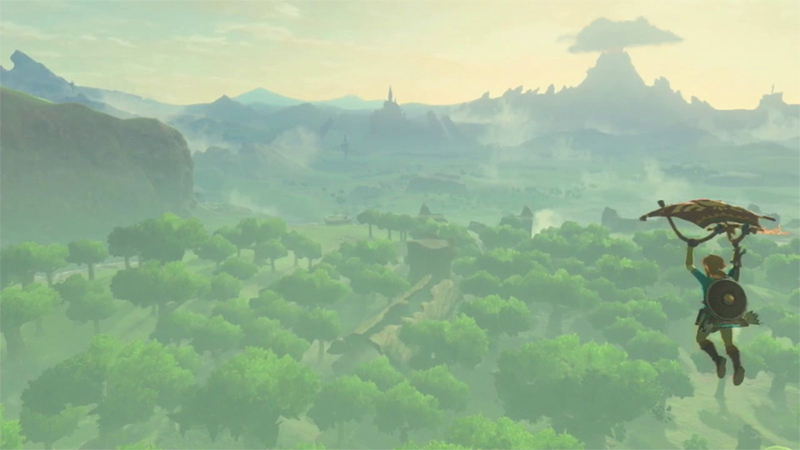 Unlike previous Zelda games, which required you to complete dungeons in a specific order to unlock a new tool or skill to progress, Breath of the Wild gives you everything necessary to explore Hyrule in the first hour. From there, it’s up to you to gather food, defeat enemies, find better armor and weapons, and, most importantly, keep exploring. 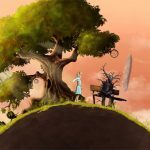 The story starts out with Link awakening after a 100-year slumber. 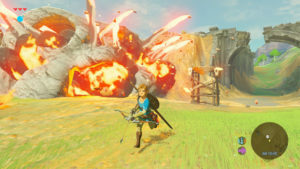 In a near-apocalyptic scenario, Gannon almost destroyed the land of Hyrule a century ago, incapacitating the weapons meant to subdue him and leaving Princess Zelda trapped inside the castle, her waning powers barely enough to keep him at bay. He also pretty much killed Link, who was saved only by the conveniently named Shrine of Resurrection, which (and stop me if you’ve heard this before) caused him to lose his memory. 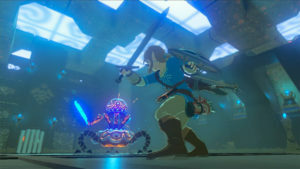 But the game isn’t about the light plot, and although there are some genuinely poignant moments, Breath of the Wild focuses on exploration, surprisingly deep, nuanced combat and the great puzzle-solving elements Zelda has come to be known for. Nintendo didn’t just stick with its tried and true formula here, though. 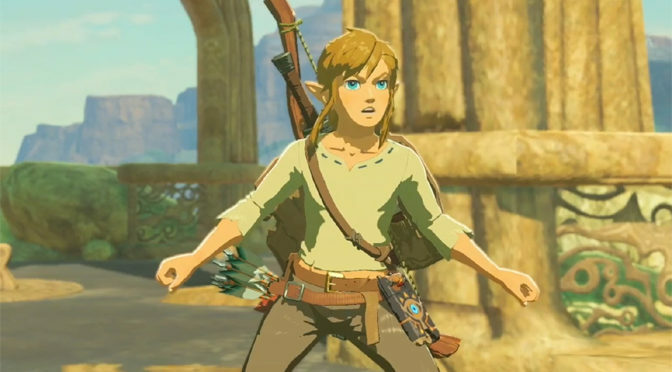 There are some drastic changes in Breath of the Wild, the most noticeable being that every weapon can and will break. Early-game armaments have far less durability and power than ones you’ll find later, but it adds a deceptive amount of strategy to each encounter. While it may be tempting to pull out the lighting-enchanted blade you just found and show those weaklings who’s boss, it’s probably better to save that for a more powerful enemy or boss battle. What are you waiting for? Get the new Zelda game from Amazon today! No matter how high its durability, every weapon will eventually fail, with a notice appearing on screen to let you know it only has a few more strikes before it shatters. Cleverly, Nintendo incorporated this mechanic into the combat by making the last strike from a weapon deal double its damage. What’s more, you can also throw a weapon with low durability to break it immediately, essentially guaranteeing a critical strike. 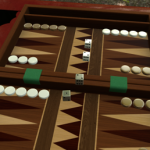 To compensate for the durability factor, the game throws weapons at you from all directions, so there’s usually not an issue when it comes to having something to attack with. It just may not be exactly what you were hoping for. 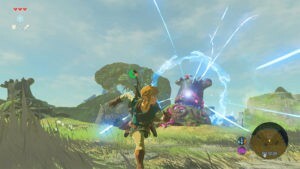 Breath of the Wild also incorporates shields, which can be used in a traditional sense or to land surf. There’s also a parrying mechanic, which has a somewhat unforgiving timing window. Pressing the A button with Link’s shield raised just as an attack is about to strike will deflect the blow and send the game into a slow-motion sequence. At that point, you can mash the attack button and score numerous damaging strikes on your opponent. The slow-motion effect also applies to dodges. While locked on to an enemy, jumping to the left, right or backwards with perfect timing initiates the sequences and, at the very least, generally leaves an enemy stunned. 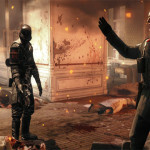 Whether you chose to go for the parry or evade maneuver, be warned: The punishment for mistiming either is brutal, and if you aren’t prepared, a powerful enemy can one-shot you with unexpected ease. Bow combat and stealthy movement combine to offer up yet another combat tactic in Breath of the Wild. Hitting an enemy in the head or other vulnerable spot with an arrow deals critical damage and can take out weaker enemies instantly. That’s particularly important when entering an encampment with sentries, which alert others to your presence if they spot you. Sneaking works with melee combat, too, but requires a little more craft and guile to approach enemies, especially in large groups. In order to successfully infiltrate an enemy camp without being spotted, players have to use every tactical advantage they can find, the most obvious of which is the noise meter on the HUD. Every action you take in Breath of the Wild creates noise. Walking, unsheathing a weapon, diving into water and even rustling the branches of a tree generate sound. Crouching and moving slowly, however, allows Link to slowly sidle up to creatures, including enemies, without being noticed. Of course, sound isn’t the only consideration when trying to go unnoticed. Staying out of a creature’s line of sight is key, too. Creeping through tall grass, climbing a tree or slinking under a platform prevents enemies from being catching sight of you, which makes picking them off one by one a little easier. Breath of the Wild doesn’t stop with just basic audio-visual cues for its stealth mechanic; even the elements come into play. As rain starts falling, it creates noise, which any good rogue knows is great for covering the sound of footsteps. At the same time, the rain also makes climbing steep slopes or vertical objects nearly impossible, causing Link to slide back down after a moment and limiting mobility. The elements aren’t just out to get you, though. Lighting can strike your enemies in the same way it gets you, and crafty players may even find a way to stack the odds in their favor by positioning metal objects around foes. And it’s not just lighting that can wreak havoc on them. The combination of a favorable wind and a plain of dry grass makes the perfect setup for fire to engulf anyone in its path. All it needs from you is a flaming arrow or alternative form of ignition. Beyond the enemy outposts and natural perils facing you, Breath of the Wild focuses much of its gameplay around the 120 shrines, miniature dungeons that require some kind of puzzle solving or combat trial. Most of these have optional treasure chests inside, which require an added element of thought in order to reach them. Shrines are critical to enhancing your combat abilities and chances of successful exploration. Upon completing one, the game gives you a spirit orb, four of which allow you to unlock another heart container or add an extra piece to your stamina wheel. It’s a fine balancing act as to which one you unlock. 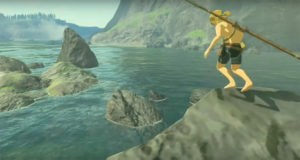 Certain actions, such as swimming and climbing, use up stamina, which, when depleted, prevent Link from continuing until the stamina meter fully replenishes. In the case of climbing, that means you fall, which, depending on the height, may result in the game over screen. What’s more, stamina won’t regenerate until you’re in a position to let it recuperate, meaning the stamina pool you started scaling that cliff with is the only one you have until you’re back on flat ground. There is, however, a way around that through the game’s clever cooking feature. Gathering foodstuffs by hunting animals, gathering herbs and picking fruit is one of the only ways to recover health, along with providing other benefits. 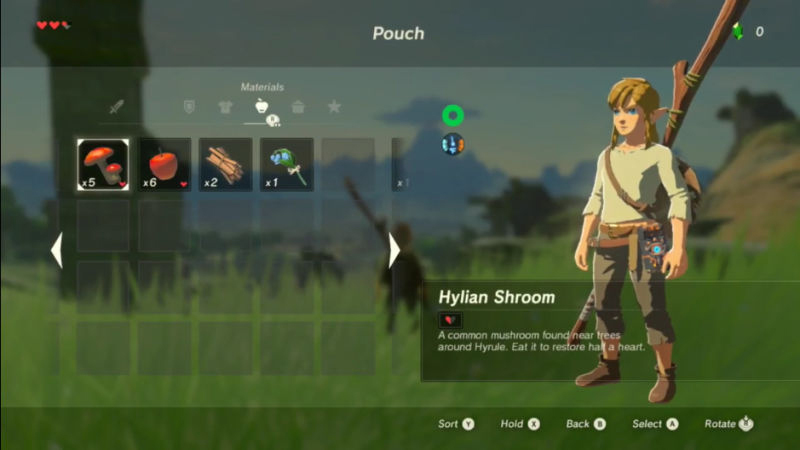 Most consumables in Breath of the Wild have a secondary bonus, such as increasing attack, restoring stamina or offering cold resistance. When putting these items in a cooking pot together, they form a meal, which can be eaten anytime, including in the middle of combat or during a long trek up a mountainside. With so much to explore and an endless stream of items coming from all directions, it’s easy to get caught wandering from place to place, looking for the next tower to scale or shrine to conquer. But there are points during Breath of the Wild when the best thing to do is simply stop, stare and drink in the vibrant, vivacious world of Hyrule. Frozen mountain peaks, saturated marshlands, scorching deserts and windswept plains are only a handful of the stunning environments you’ll pass through on your quest to Hyrule Castle. Full of rich color and incredible detail, the world around you acts almost as another character itself, fully immersing you into its vastness. The audio is spot-on, too. The whoosh of the breeze gusting over the grasslands ruffles the tall grass with surprising realism. Cascading waterfalls deafen everything around them, while the crash of thunder and forceful explosion of a lightning bolt striking the ground roar with awesome power. I could write another thousand words in this review and still not capture the stunning attention to detail Breath of the Wild delivers. 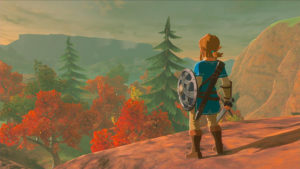 Its ability to immerse you in its world from moment one is unlike anything I’ve ever experienced in a video game, and even after countless hours scouring Hyrule for every secret, I still feel like I’ve barely broken the surface of what it has to offer. 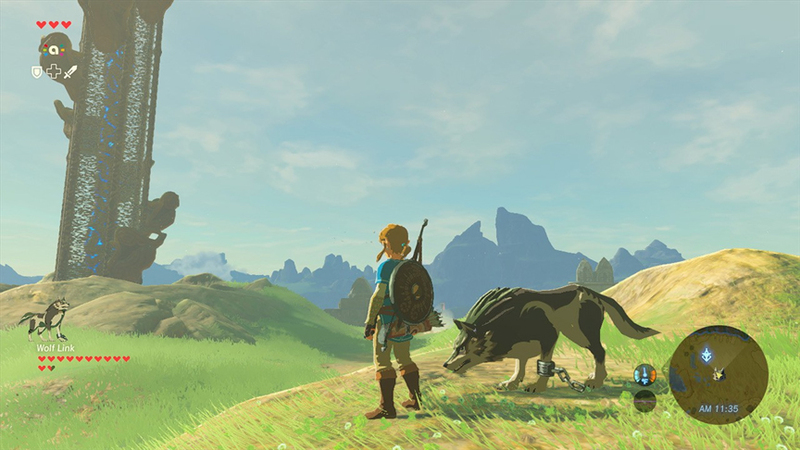 The Legend of Zelda: Breath of the Wild earns a perfect 5 GiN Gems out of 5, because no words can ever truly describe how good the game looks and plays.